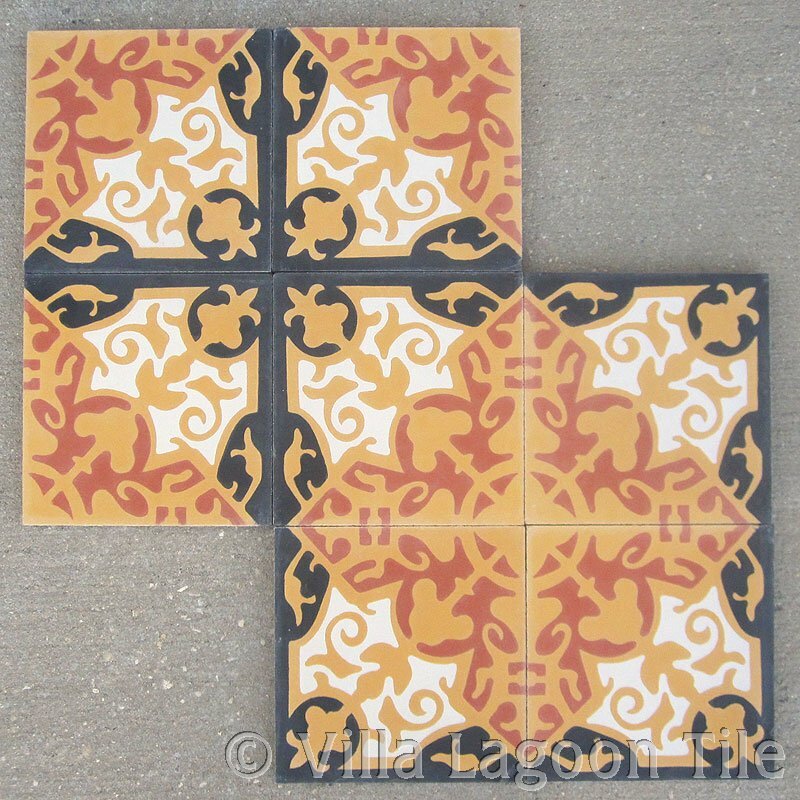 Produced by a multi-generation family of artisans in Mexico, available for custom orders. 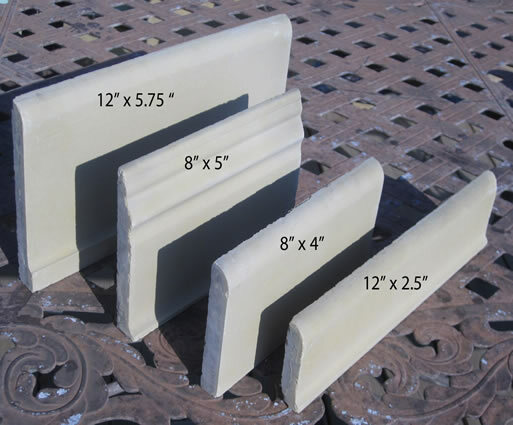 Your most economical choice is 8" tile, however we can produce tile in several sizes and shapes, as well as trim pieces. 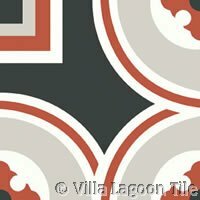 Choose a pattern (or single color) and pick your colors. 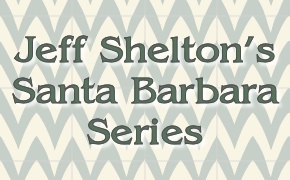 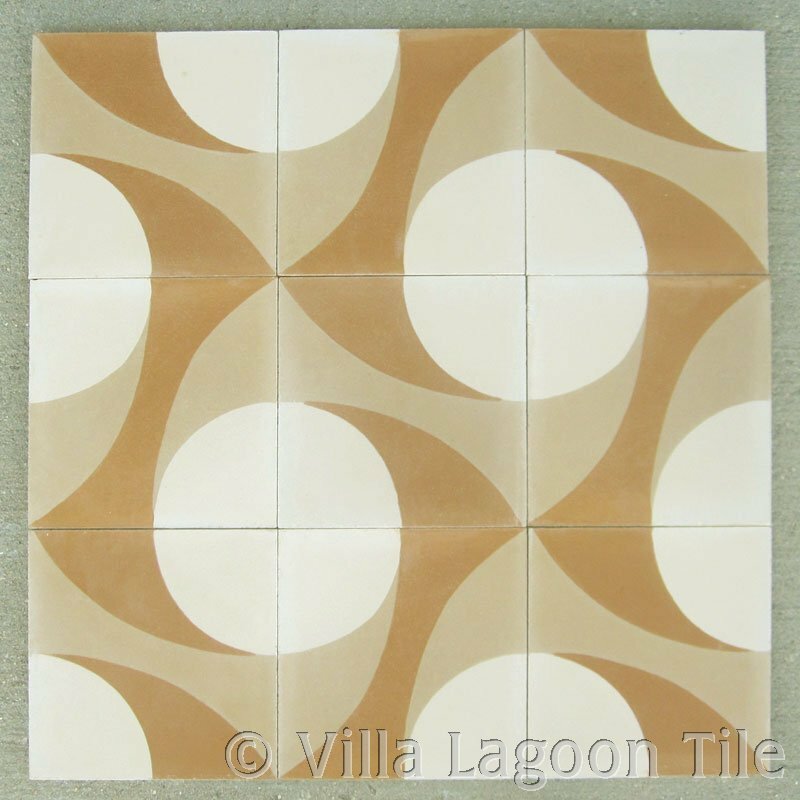 Monterey Collection tiles presently require about 10-14 weeks to produce and ship. 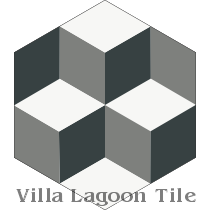 Need it faster? 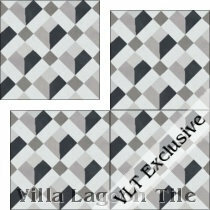 We have a broad range of in-stock tile that can ship immediately. 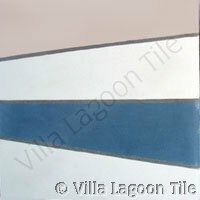 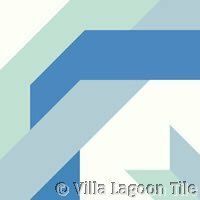 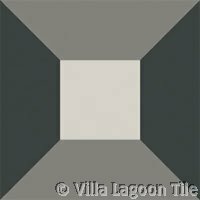 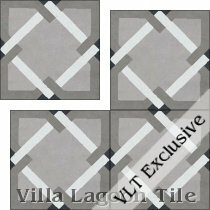 This 10" tile has a faux grout line between the colors so the end effect is one of polygon shaped tiles. 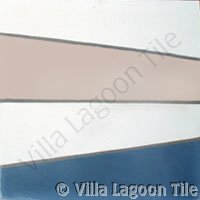 It can be made in any color combination. 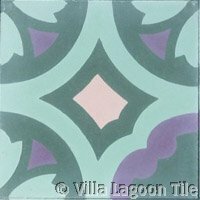 See installation photos. 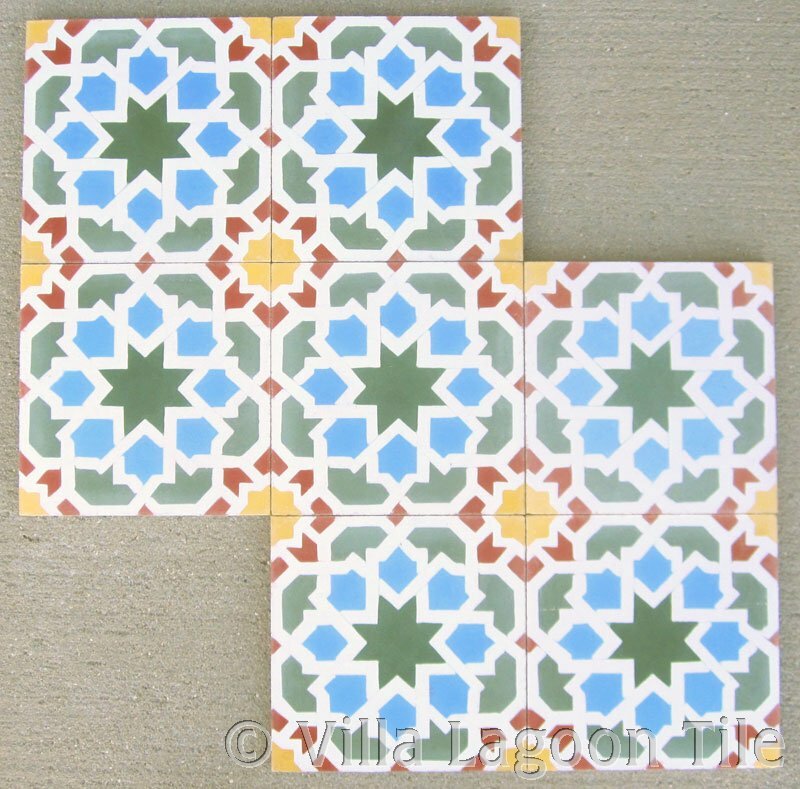 Also known as "MO Checkered"
Also Known as "MO Liverpool"
Also Known as "MO Tango"
Also Known as "MO Amelia"
a.k.a. 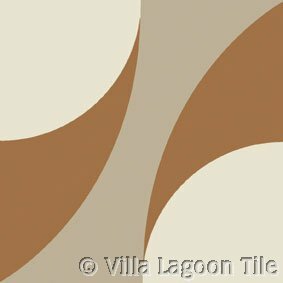 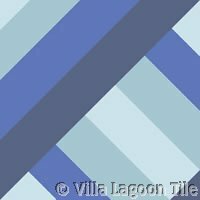 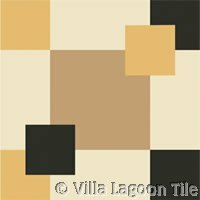 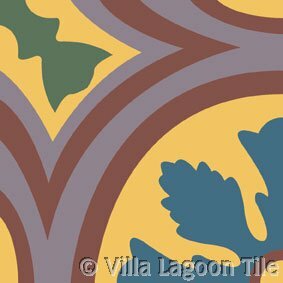 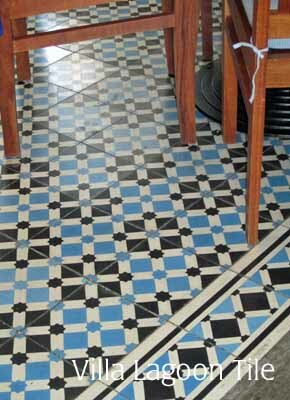 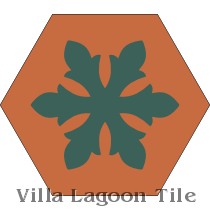 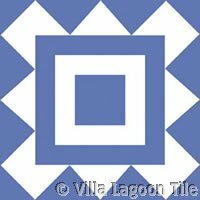 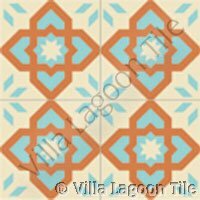 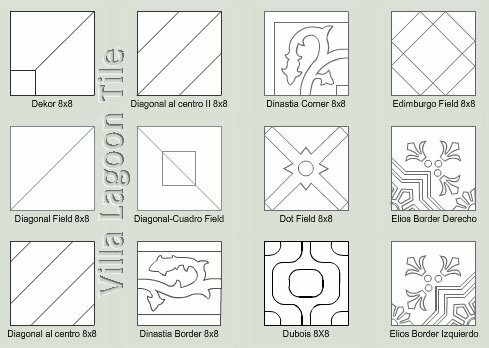 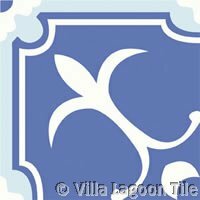 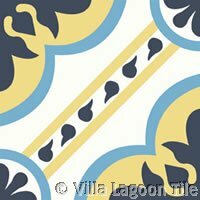 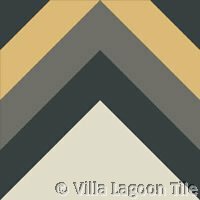 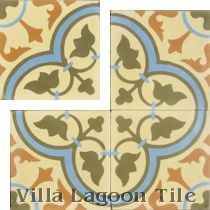 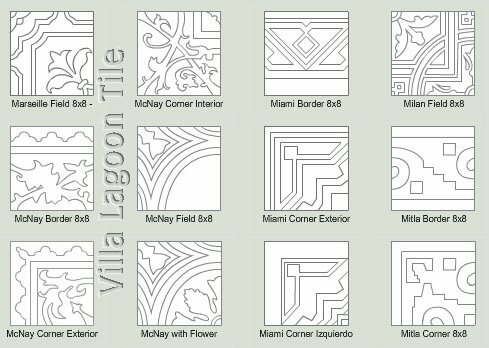 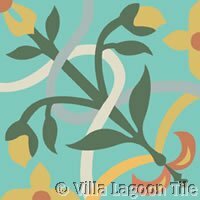 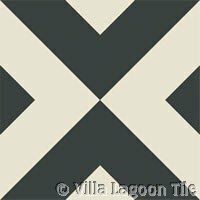 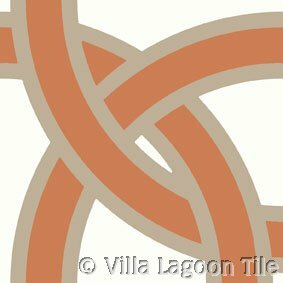 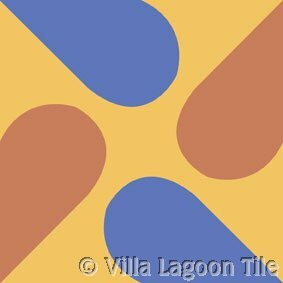 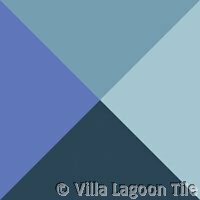 "MO Diagonal al Centro II"
Also Known as "MO Roseton"
Also Known as "MO Bocassio"
Click Here for our legacy tile tool. 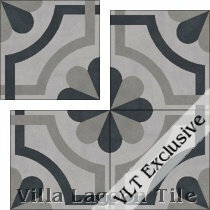 8" Tile available in the Monterey Collection Pallete. 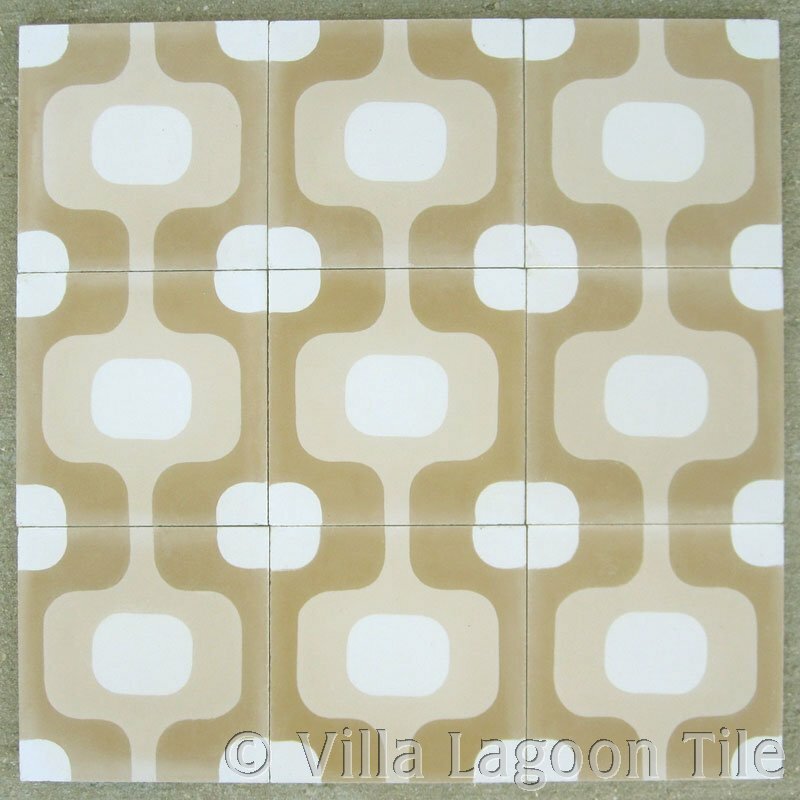 8" Hex Tile available in the Monterey Collection Pallete. 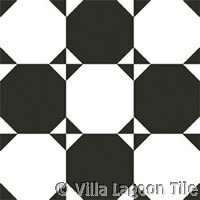 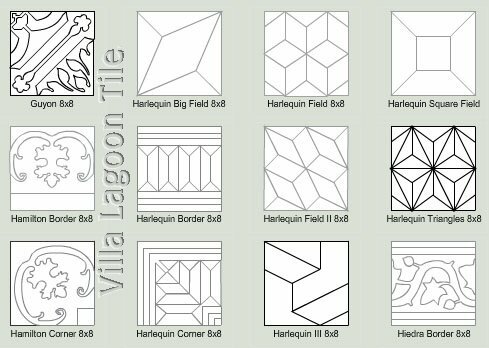 Also called "MO Hex Harlequin"
Also called "MO Hex Frames"
We have several more hex patterns in The South Beach collection. 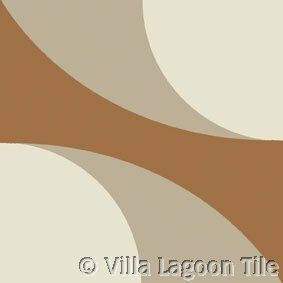 Click to see the patterns. 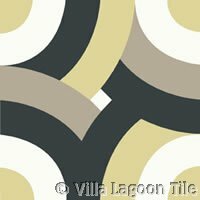 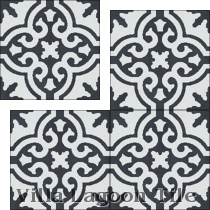 22 x15.70 cm / 8.66"x6.18"
Create a stylish floor or wall with these classicly ogee shaped cement tiles. 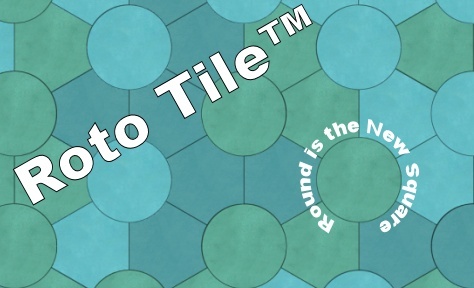 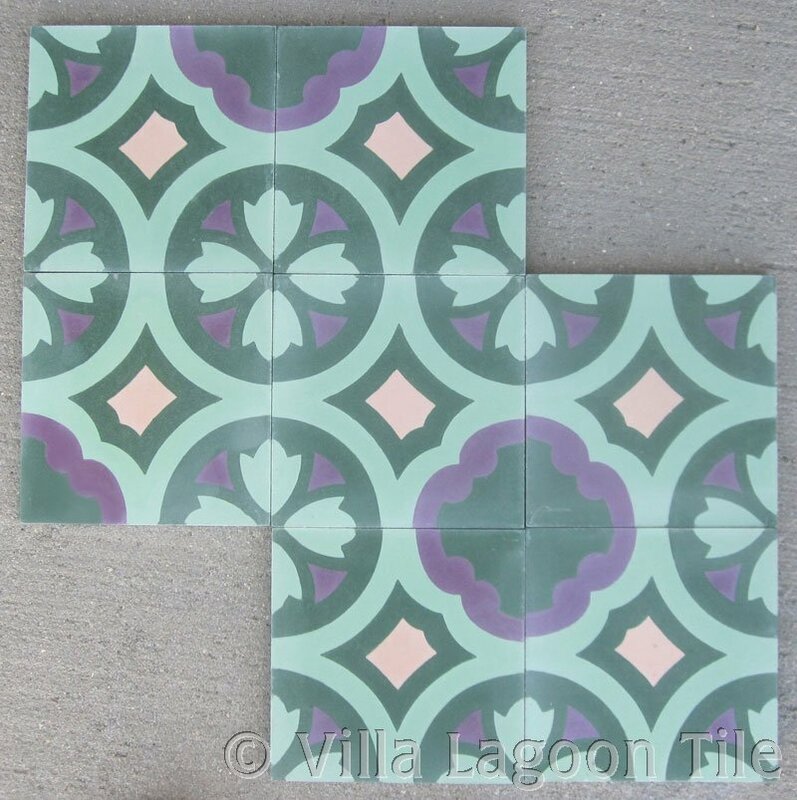 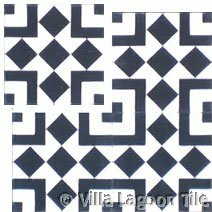 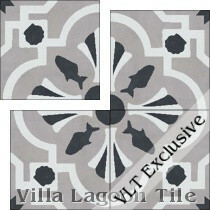 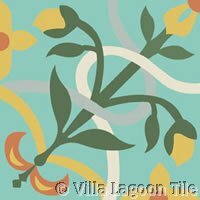 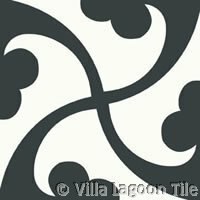 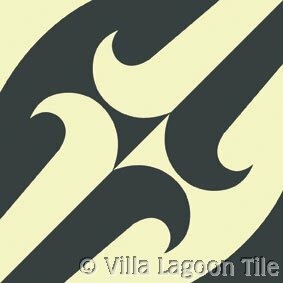 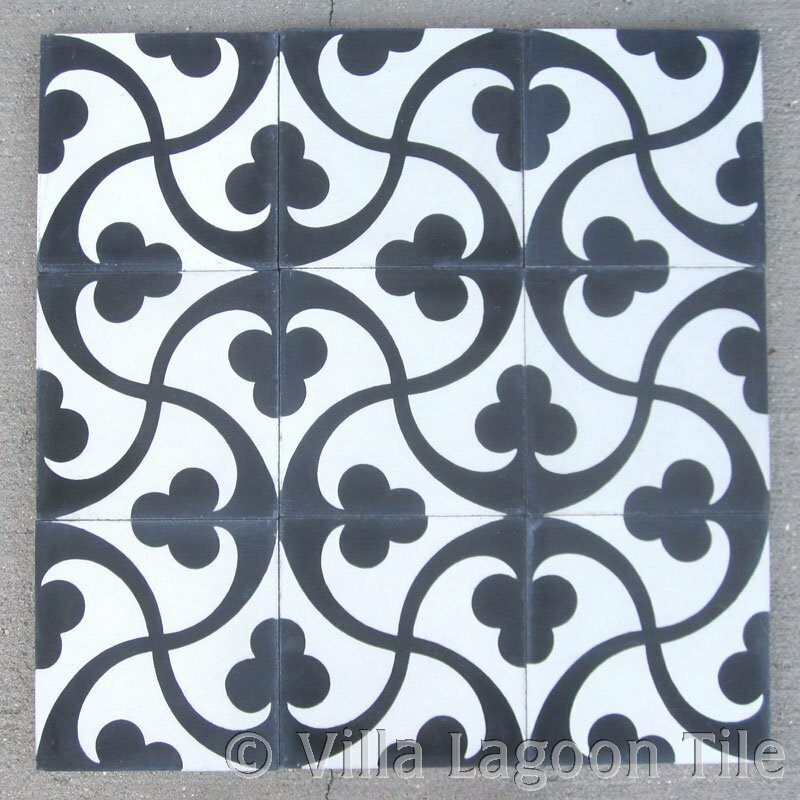 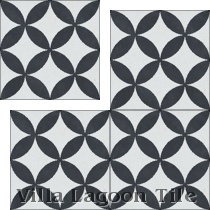 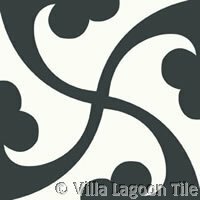 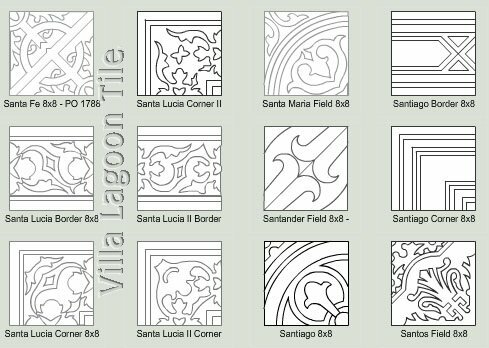 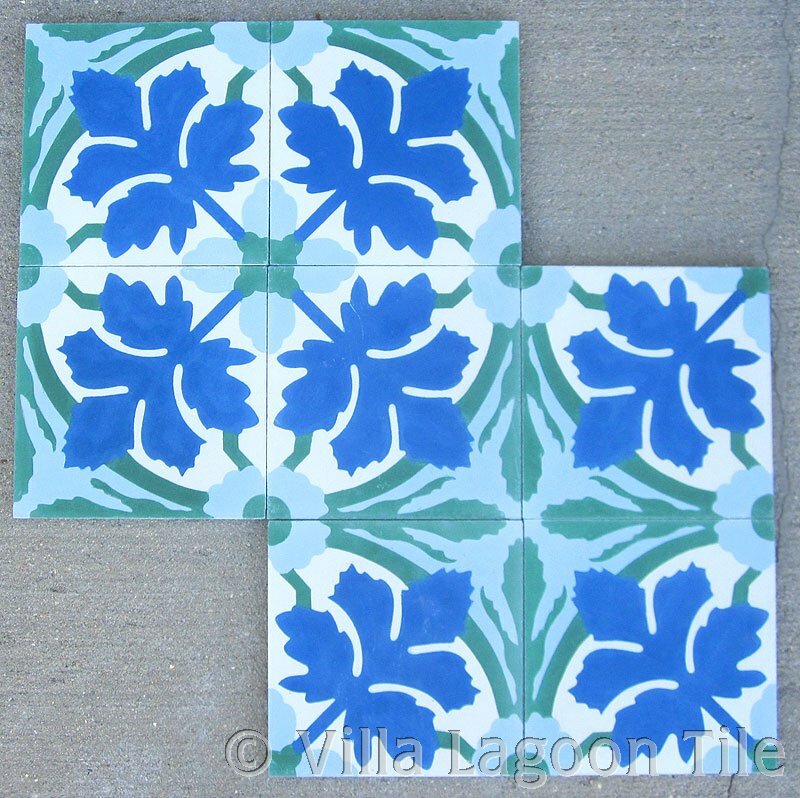 Order in any of the standard cement tile colors. 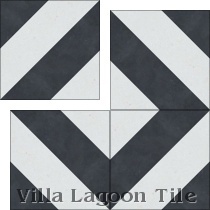 Minimum order 50 sq ft., requiring a lead time of approximately 10-12 weeks. 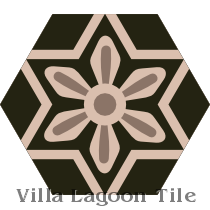 Imagine the color combinations you can create. 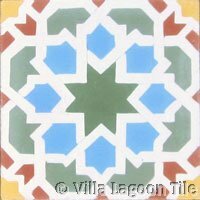 The traditional Moroccan shaped tile adds old world texture without adding a lot of pattern. 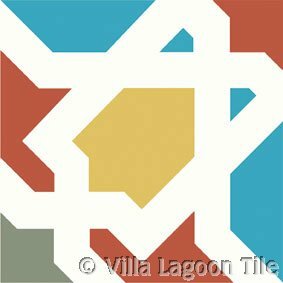 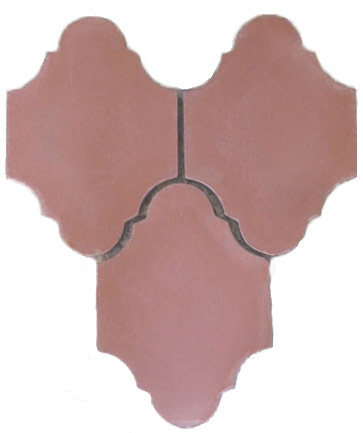 This classic Moroccan shaped tile can look contemporary or ancient depending on your color choices and installation techniques. 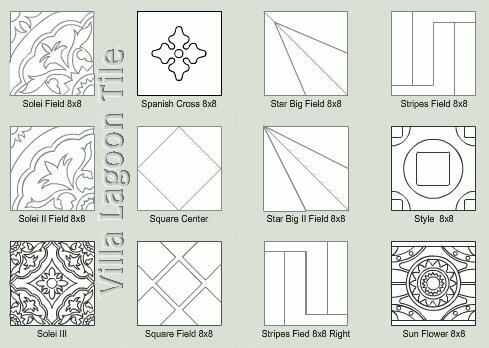 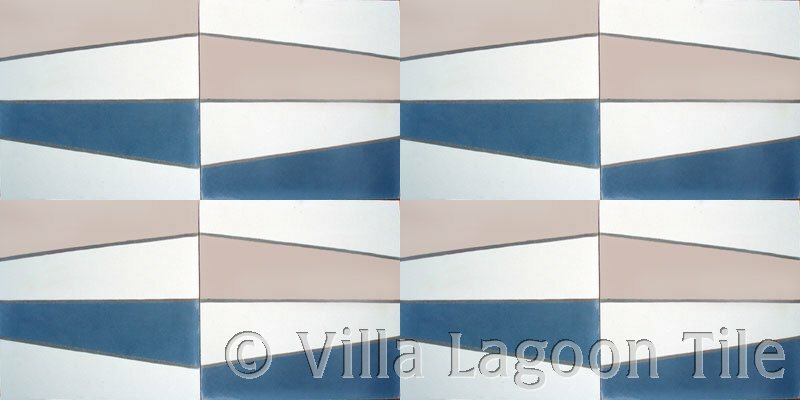 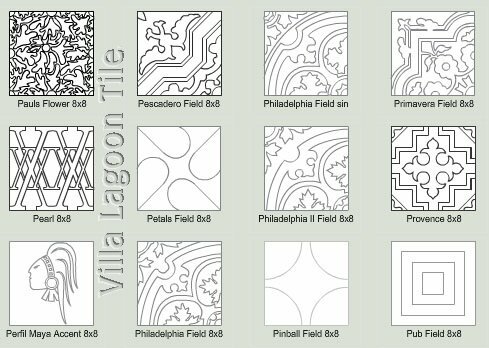 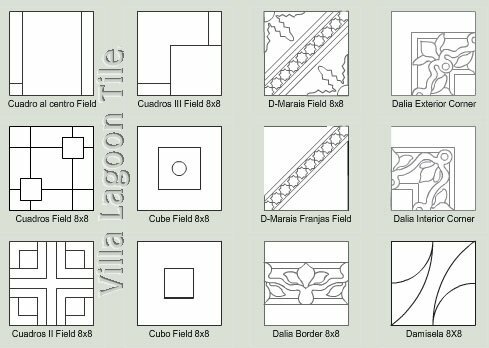 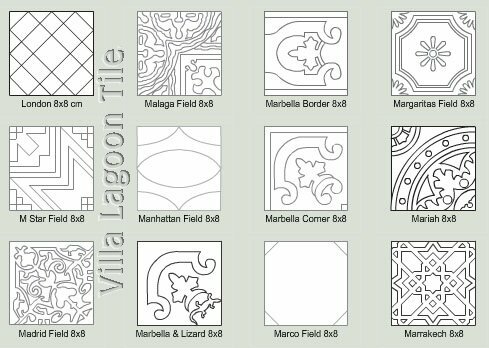 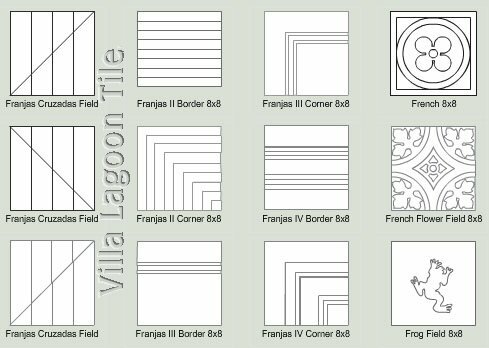 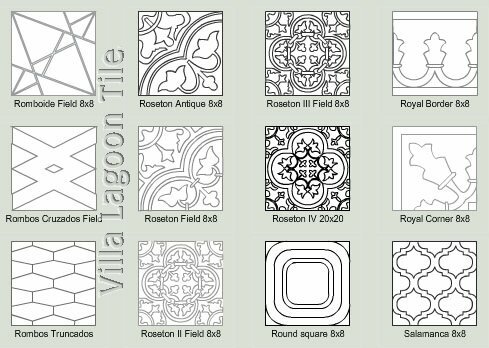 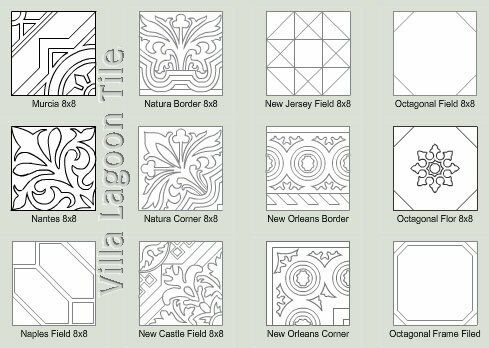 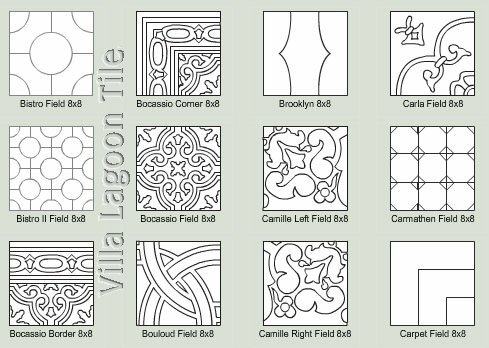 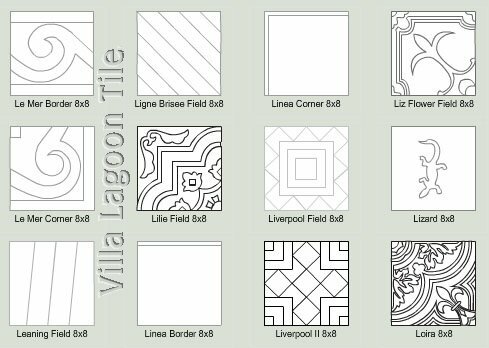 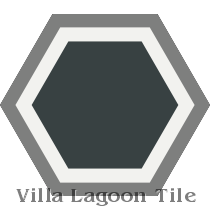 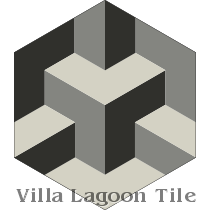 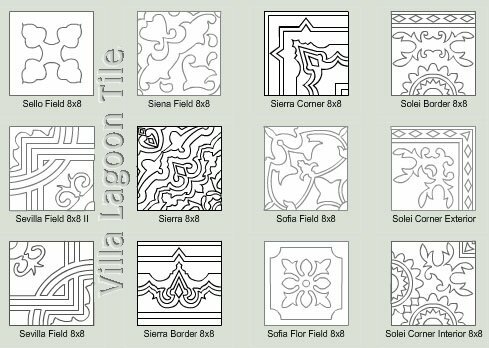 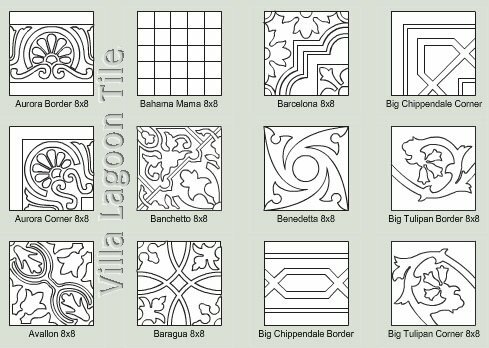 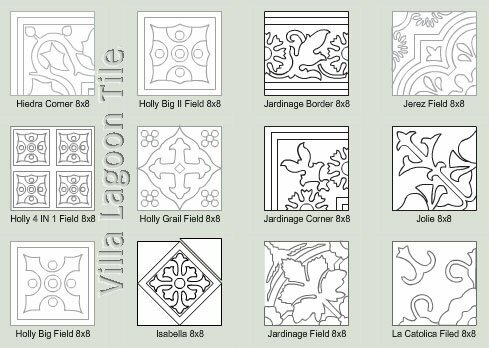 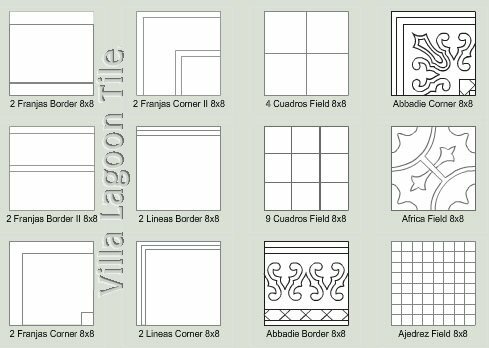 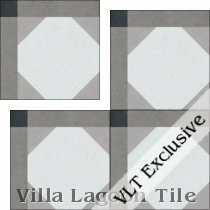 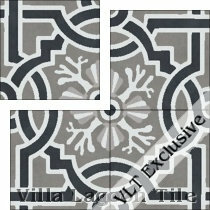 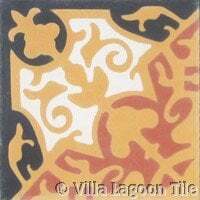 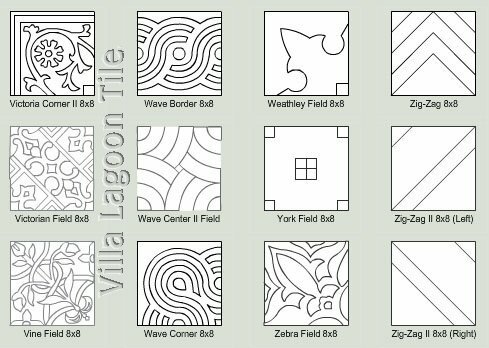 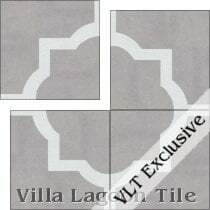 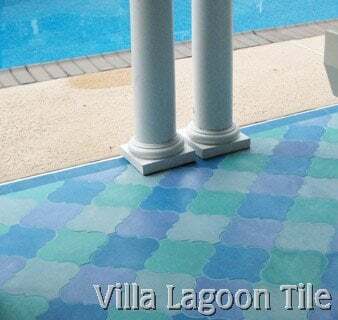 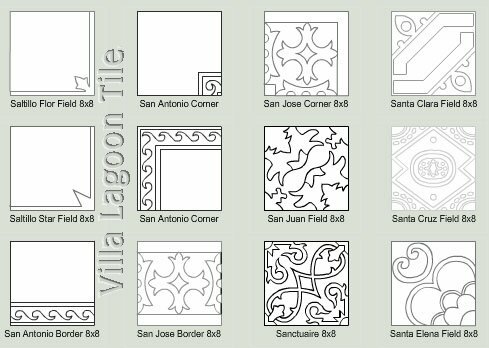 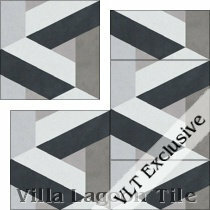 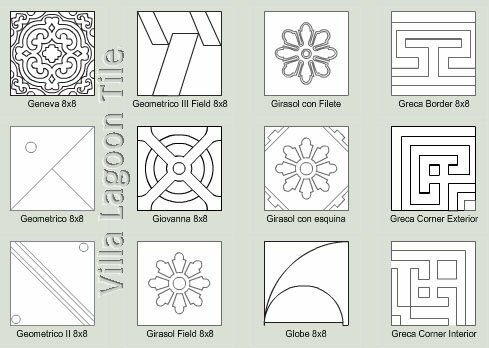 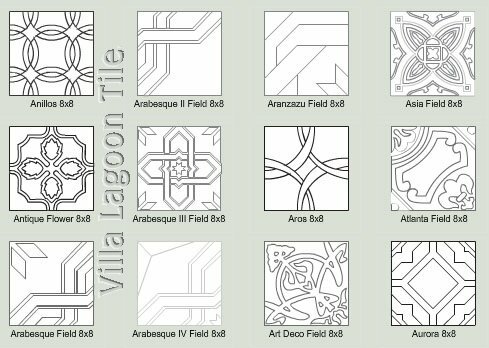 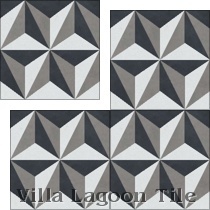 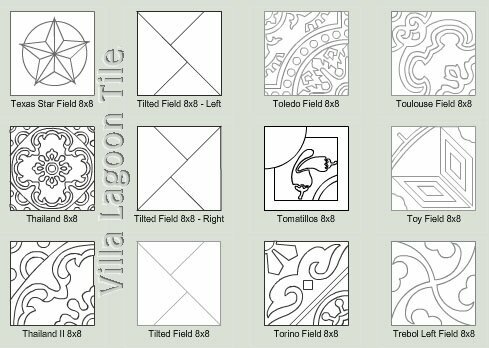 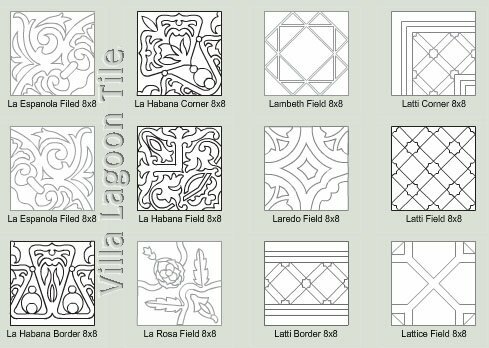 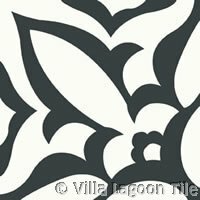 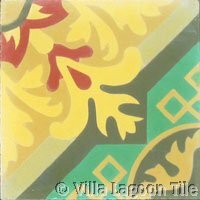 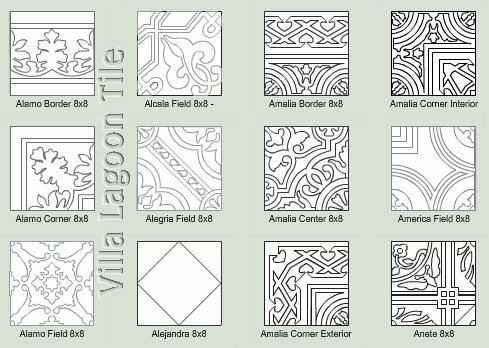 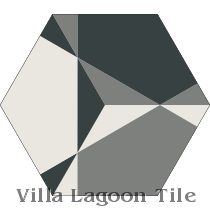 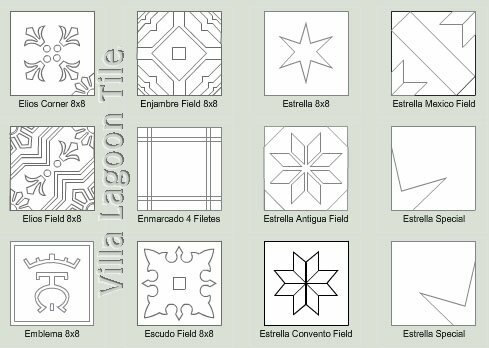 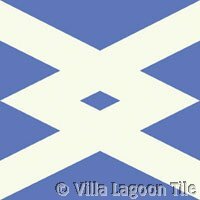 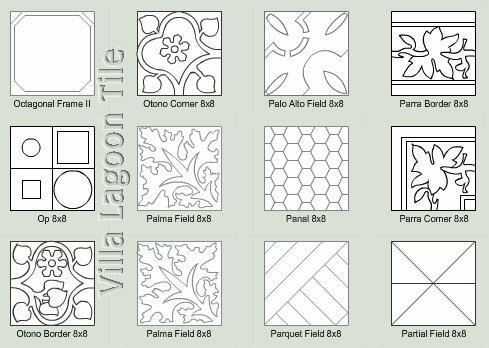 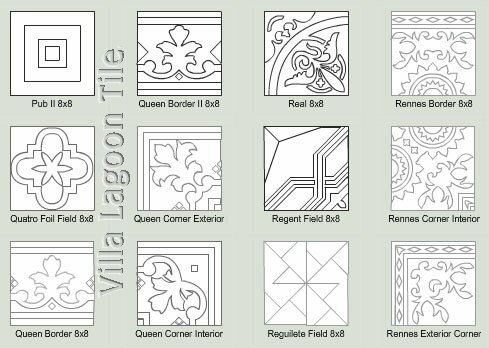 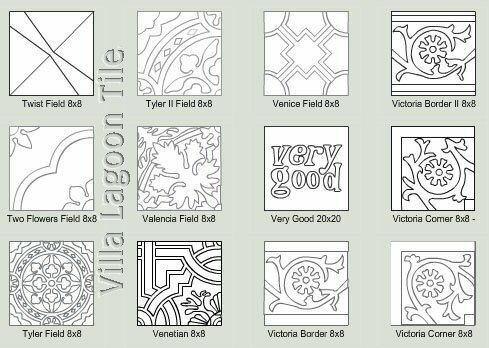 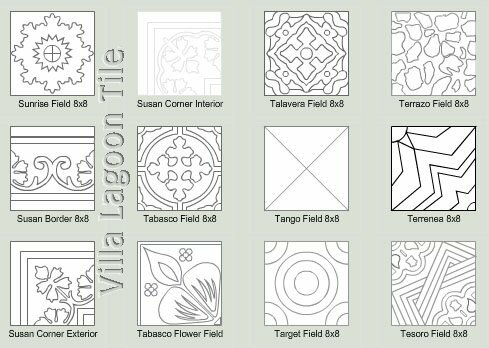 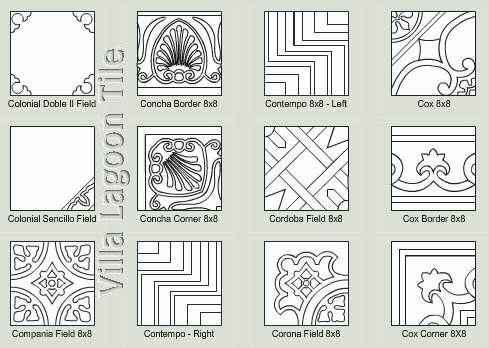 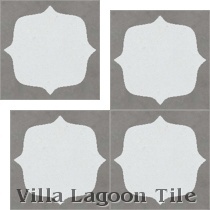 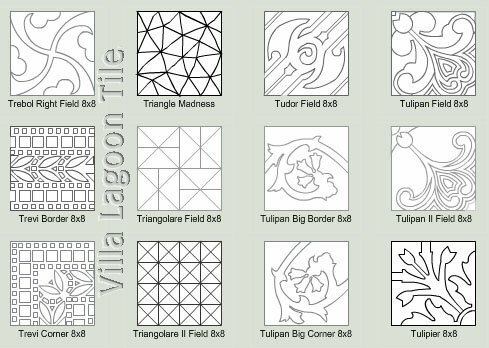 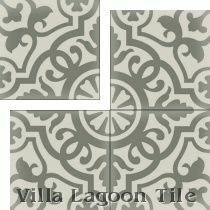 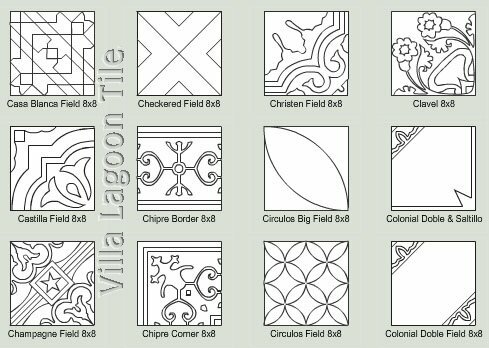 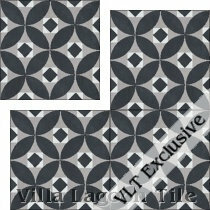 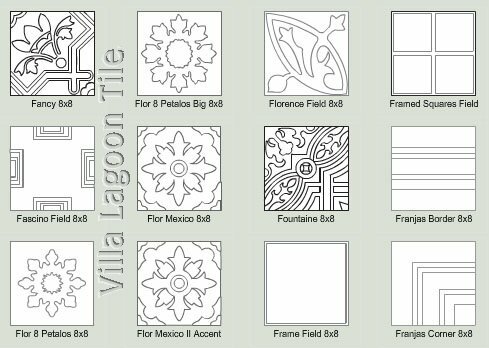 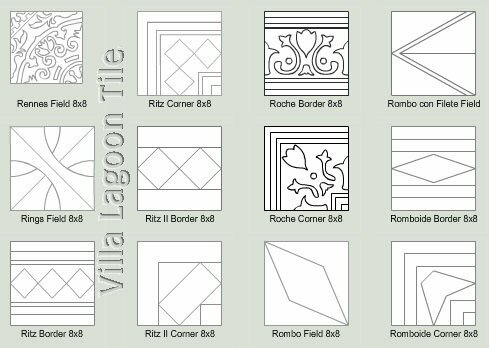 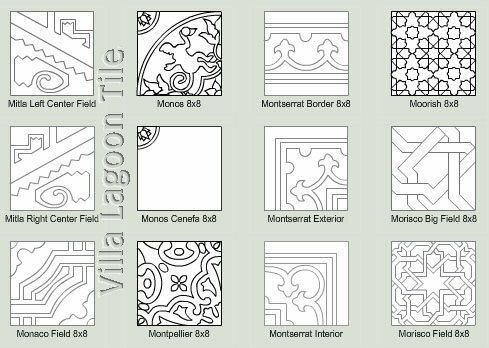 For samples and pricing, please call us at 1-251-968-3375 or e-mail info@VillaLagoonTile.com . 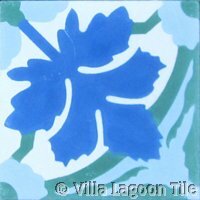 Tile "Asia" above is also known as "Barcelona Claris"
Tile "Bocassio " above is also known as "Barcelona Casanova # 30233-8"
Tile "McNay Flower" above is also known as "Barcelona Gerona # 30225-8"
Tile "Barcelona Phadeliphia Field Sin " above is also known as "Barcelona-3 # 30209-8, # 30255-8"
Tile "Circulos " above is also known as "Barcelona Rubi # 30253-8"
Tile " Tulipan" above is also known as "Virreina # 30234-8"
Special order a sample tile in your own colors or order one from our on-hand stock. 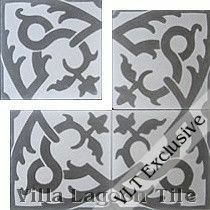 If you do not see the tile pattern you want, we can have the mold made for your project.